A new book by Tiger Woods’ former swing coach says the golf megastar’s real passion was to be a Navy SEAL. Woods’ late father, Earl, was an Army Green Beret who did two tours in Vietnam. 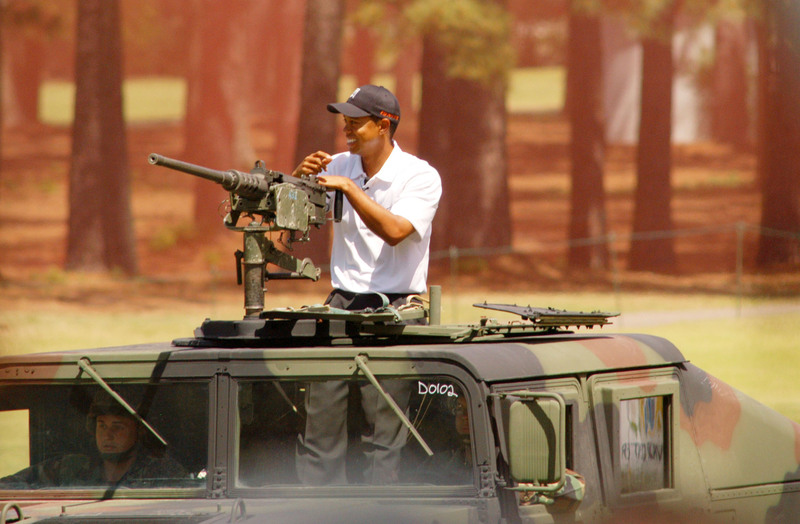 And Woods’ own AT&T National golf tournament is billed as a tribute to the armed forces — the tournament offers all Defense Department personnel free tickets. But Haney says in the book that Woods’ physical therapist “went a little crazy” worrying about the damage the intense training might be doing to his left knee, on which he has had multiple operations. Woods’ even ruptured his Achilles tendon while rehabbing after one of the operations. So while Woods’ may well have a passion for military service and the drive and focus to become a Navy SEAL, it’s likely his continuing knee issues — and the likely long-term effects of his injuries — would keep him safe and sound on the fairway.